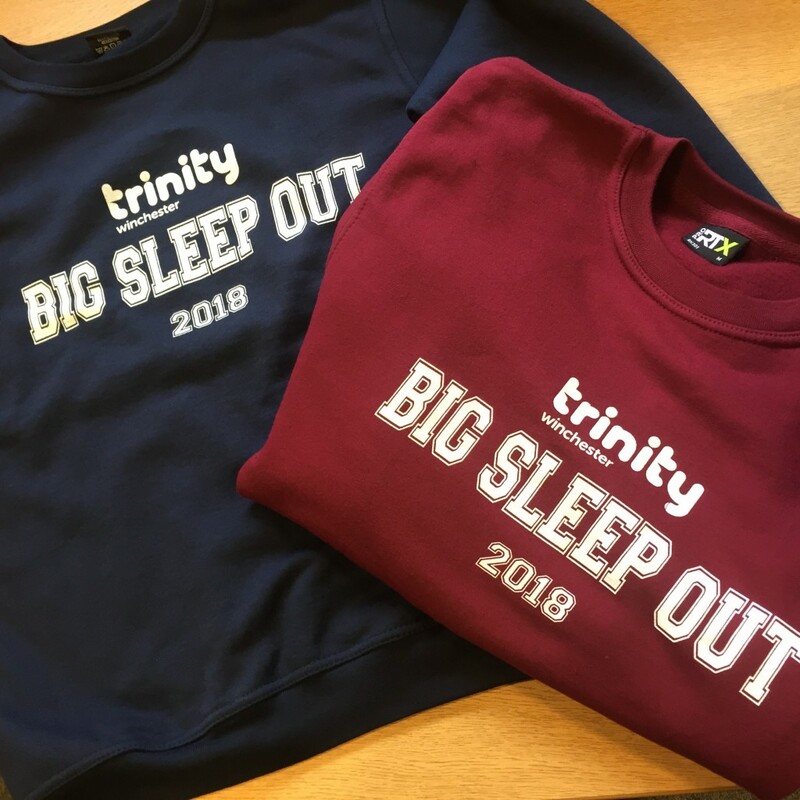 Brand New Big Sleep Out Jumpers for sale! For the first time, we have designed a special sweatshirt for the event, which you can purchase for just £10. Keep yourself warm overnight, and take home a wonderful keepsake to remind you of your night under the stars. Limited availability, so order yours today. Navy Blue or Burgundy, in sizes S – XL. Buy Yours Now using the Paypal button below. Select the size and colour you want, and click ‘Add to Cart’. On the following page you can select ‘Continue Shopping’ and you can add different sizes / colours to your cart. Alternatively, send in a cheque along with this Order Form to place your order. Sweatshirts will be available to collect on arrival at Wolvesey on Friday 11th May from the registration desk.